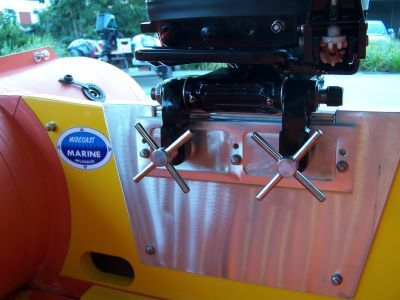 The MCM TRANSOM CLAMPS are used to secure the motor to the boat very firmly due to its excellent leverage capability. 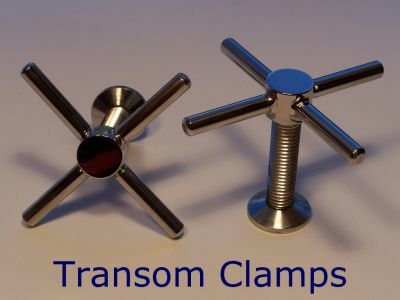 The transom clamp thread size is available in 14 mm and 5/8” unc. This design also allows for easy securing of rope to assist with buoy laying and tensioning. Since 1995 this has been the preferred transom clamp design of SURF LIFE SAVING AUSTRALIA.